Schedule a spiritual growth coaching conversation now! What is Third Place Chicago? Third Place Chicago is a place for conversation, community, and change. 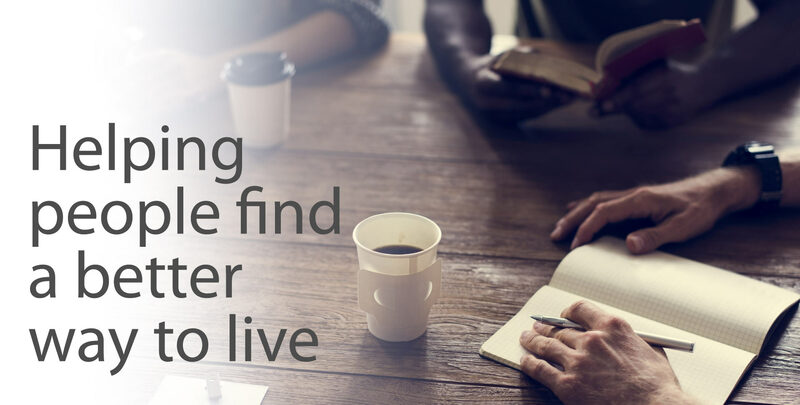 Our purpose is simple: helping people find a better way to live. We know how it feels to be stuck, stalled, plateaued, or going through the motions. No one should have to experience one more day of that. God made you for so much more. We help you find a personalized path to a better way to live. And we want Third Place Chicago to become a community of people supporting each other and growing alongside each other. Your trained Spiritual Growth Coach asks questions that help you explore the biggest questions in life: What am I here for? Is there more to life than this? How do I live well? Is there hope for this world? What’s one practical step I can take this week? Third Place Chicago is part of Redeemer Church, a small multi-site Christian congregation with locations in the Galewood neighborhood, in the city of Park Ridge, and on the Northwest Side of Chicago. We believe that God is already at work everywhere, putting the world back together into a place of peace, love, and joy. We believe that actively following Jesus lets us participate more fully in that work God is doing. And we believe that following Jesus and being a part of that work simply makes life better, for everyone. What is Spiritual Growth Coaching? Spiritual Growth Coaching helps you find a personalized path to a better way to live. Your trained Spiritual Growth Coach asks questions that help you explore the biggest questions in life: What am I here for? Is there more to life than this? How do I live well? Is there hope for this world? What’s one practical step I can take this week? Coaching is a series of conversations between a trained coach and someone open to exploring growth and change in his or her life. The coach’s questions help the person being coached to clarify goals, discover resources, explore options, and decide on a plan. The focus is on what one or two things a person could do to take the next concrete step toward a life of greater love, joy, peace, patience, kindness, goodness, faithfulness, gentleness, and self-control. What can I expect at my first coaching session/conversation? A first meeting usually takes 90 minutes. Your coach will provide more information about the coaching process, answer any questions you have, and start to ask questions to get you thinking about what growth is most immediately important to you. You may have a pretty good idea when you start or you may come in without much of a sense of what you want to change. Either way is fine! There’s no commitment to continue in coaching if you feel that it’s not a good fit going forward. Nope. We’re Christians, and we’re not trying to hide that or to pull a bait-and-switch. We believe that it’s the way of life Jesus taught that allows us to live better, but you don’t need to share that faith commitment in order to get coaching. We invite you to put a new way of living to the test even if you think the theology behind it is nonsense! A spirit of openness and exploration is really helpful, and the decisions about the changes you want to make are always in your hands. There’s no commitment needed to have a first meeting. If you want to continue coaching going forward, the frequency of meetings really depends on what you’re working on, what kind of support and accountability is helpful for you, and your schedule. It’s a good idea to meet with your coach at least quarterly (four times a year). Many people find it helpful to meet more frequently than that, but it all depends on the goals you establish with your coach. Just some time, openness, and effort. Third Place Chicago is a not-for-profit supported by financial donations from individuals/families and short-term grants from partner organizations. In order to be sustainable long-term, we’ll be dependent on financial support from people who participate and find our work together to be transformative. Our purpose is to build a Christian community (church) of people who are growing together and becoming more than the sum of their parts through God’s work. We’ll never be fee-for-service, but we absolutely do need the financial support of committed participants to make this work! Click here to schedule a Spiritual Growth Coaching Conversation. What is Land of 1,000 Conversations? We know how it feels to go through life feeling unseen and anonymous. We know how it feels to have “neighbors” we couldn’t pick out of a lineup. We know how it feels to get manipulated into despising people we don’t even know. But it’s hard to despise someone when you know their story. It’s easy to like someone when you know who they really are. And it’s possible to really feel like a neighbor when you’ve had a conversation. You can build real peace and community, right here in your neighborhood. Land of 1,000 Conversations is a project to build a better life together through the simple act of listening to and sharing our stories. We’re going to keep a spirit of experimentation with this, but our initial plan is to hold some gatherings on evenings and weekends when interested people can get together at Third Place Chicago for one-on-one conversations. Over the course of 90 minutes, you’ll have two conversations with people you don’t know yet. Some questions will be provided to prompt good conversation, but you don’t need to talk about anything you don’t want to talk about. This will be a safe space for brief, hopeful, authentic, mutual, uncensored, respectful, curious, personal, open, and confidential conversations. You can be a part of putting the world back together through the simple act of listening and sharing! Safety is crucial. This isn’t an opportunity to judge or attack. Nor is it a place to speed date. If you ever feel uncomfortable during a conversation, please don’t hesitate to tell a staff member, who will promptly intervene. This can only work if we all feel that it’s a safe space to share. Can I use TPC to have a meeting/party/event? Yeah, absolutely. We want the space to be a community resource. Email peter@redeemerchicago.com if you’re interested in using Third Place Chicago for a meeting or event, public or private. What is the cost to use the space for a meeting/party/event? We don’t charge a set fee for using the space, but we do ask for donations to help cover our expenses and support our work. We want the space to be available for everyone, so we can be flexible on the suggested donation so the expense is not prohibitive. Free and metered street parking is available.